A little over a week ago we've launched our 2018 summer linen clothing collection. Featuring breezy dresses, pants, and skirts, the collection was created to fit women of every shape, size, and form. According to our founder and lead designer, Vita, the new styles were influenced by her love for the sea. Linen — known for being very lightweight, breathable and absorbent — is deeply associated with coastal towns and summer vacations, that is why we chose to name our new items after magic places from around the world, from Venice to Marrakesh and beyond. 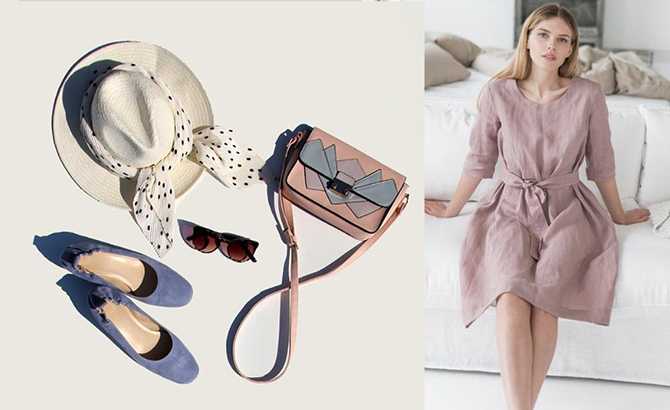 Today, we want to show you four easy ways to style linen this summer and prove how versatile it really is. Note that all of the following clothes can be made in various colors. Elegant, lightweight and unbelievably comfortable, our linen pants CAPRI are your best alternative to stuffy denim and impermeable polyester. They can be worn straight or rolled up for a more relaxed look. We recommend styling CAPRI pants with espadrilles, a panama hat, and a soft knit sweater to last you throughout a hot summer's day to a chilly eve. Have a romantic date planned or just going out with your girls? Our linen dress VENEZIA is like a chameleon and will easily match both of these occasions: wear it with or without the belt to switch between sophisticated and a more relaxed, loose-fit look. We recommend styling this linen dress with some comfy heels, a small shoulder bag, a panama hat, and a bandana style scarf. For those who like to mix and match their clothes, this linen skirt should be the go-to garment in this summer's wardrobe. Skirt VALLETTA features a comfortable elasticated waist and a side slit adorned with buttons, which make it easy to regulate the amount of leg you want to show. We recommend styling it with some easy slides, a leather bucket bag, and a relaxed cardigan. Add some nautical vibes to your wardrobe with the easy draping, breathable and lightweight linen dress FLORENCE. Featuring a button closure in the front and two side pockets, it's perfect for a stroll on a beach or a romantic boat ride. 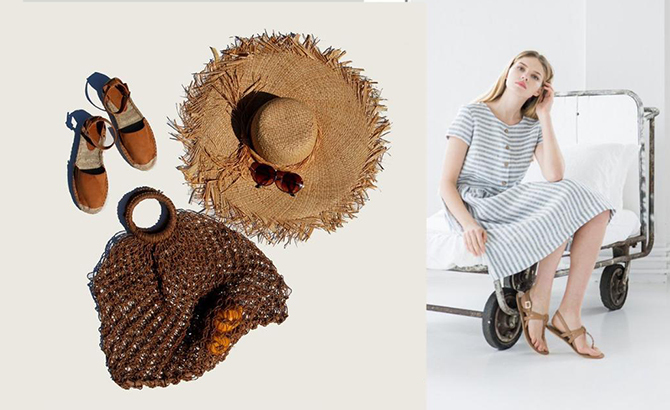 We recommend styling it with with a big straw hat, easy espadrilles, and the ever-so-popular net bag. Check out our experiment and see how versatile linen clothing truly is.